I have an affliction. It’s something I try not to dwell on too often, try to push out of my mind. But on a night like tonight, my affliction refuses to be ignored. Hello everyone, I’m Dori Mooneyham and welcome to The Orbit! I am thrilled to be surrounded by so many talented writers who are both personal friends as well as role models from afar. This is a great opportunity for so many of us godless do-gooders to do a little more good together, and I’m so excited to be a part of it! A bit more about me. I’m a trans lesbian psych student who loves pop culture and getting worked up about her academic queer ponderings. I’m also the former host of Secular Shethinkers, a now defunct podcast that gave me a good excuse to drink and go on feminist rants once a week. I’ve also written a few things for other atheist blog sites. I get around, is what I’m implying. 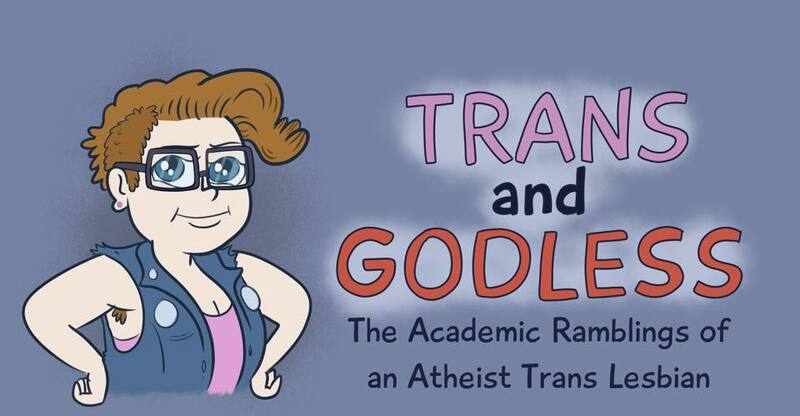 But as some (or most) of you may be unfamiliar with my work, I thought it best to include a little list to give you an idea of what I’m all about over here at Trans and Godless.